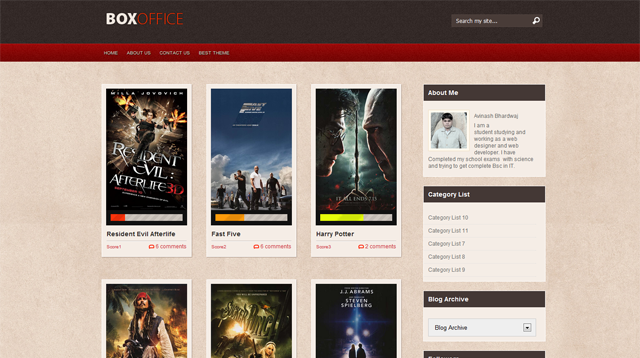 Box Office Blogger Template is another beautiful blogger template which is modified and converted by us from WordPress template. This is a movie review template which is intent for use in any review like movie, video, book, software etc. This theme have a nice rating bar which will represent the rating given by author. I have added all instructions in the download folder and you can ask me any help via comment.